Completely self-contained, with access from the hotel or through its own private entrance, the Courtyard Suite also has a reception area and bar. It can accommodate 200 delegates for a conference or 180 for a special event, PA system, three-phase power and is fully air conditioned & mood lighting. 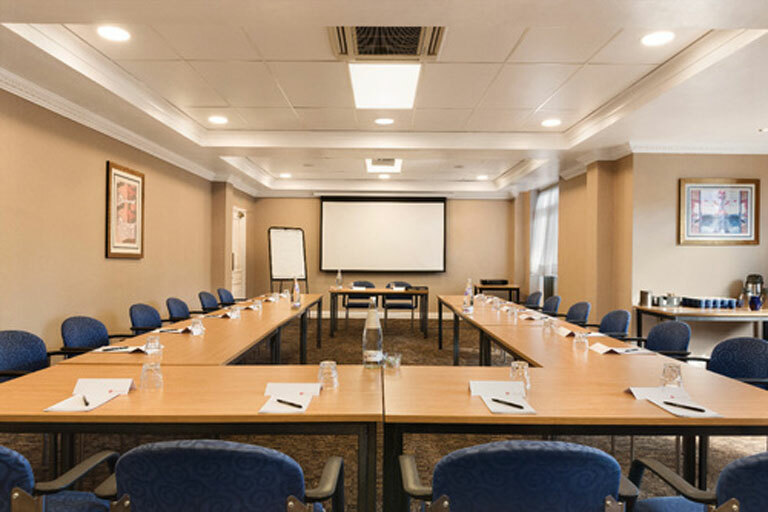 Whether you're planning a single day's meeting or something longer, the Ramada Birmingham Solihull hotel has a package for you, we can offer a flexible and friendly approach to suit your needs and budget. Talk to your Conference Sales Executive about how we can tailor the packages to your exact requirements.